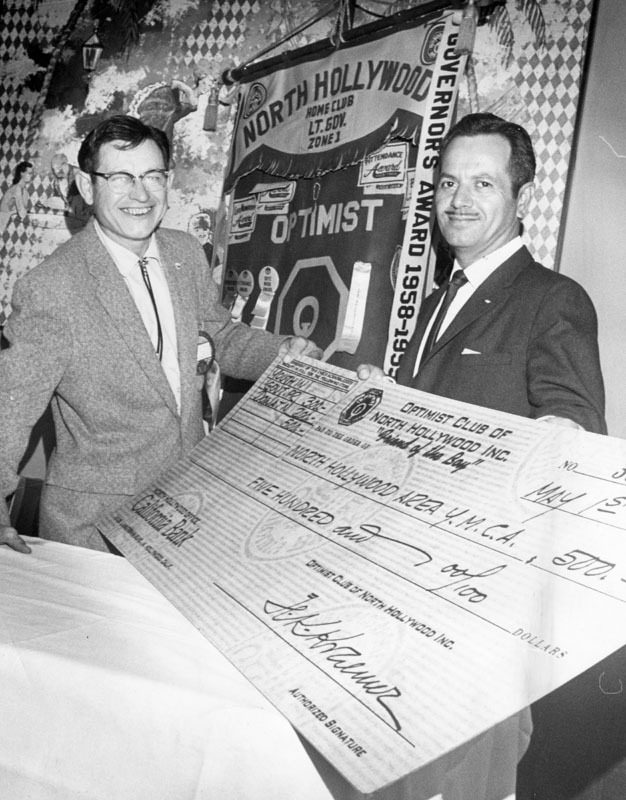 Arno Bender, sickness president of North Hollywood Optimist Club, site presents a kingsized check to Dr. Mario De Lara, chairman of the East Valley YMCA board in 1961. We welcome and appreciate donations of any amount for the Valley Times digitizing and archiving project. Donations of $500 and above include a Lifetime Membership in LAPL Photo Friends. If you donate by mail, please specify that your donation is for the Valley Times project and include your phone, e-mail, and mailing address so we can keep in touch.